Brian Lamb with Jim Howell. · One Book. One Author. One Hour. Brian Lamb with Jim Howell. Unknown, “Brian Lamb with Jim Howell.,” One Book. One Author. One Hour., accessed April 19, 2019, http://booknotes.gmu.edu/items/show/2983. 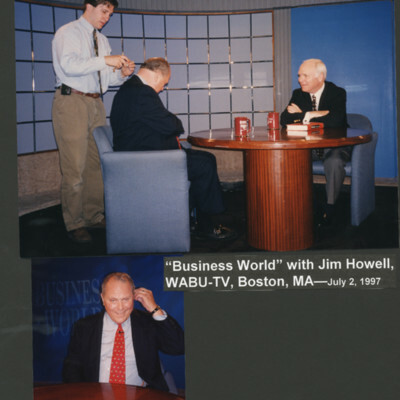 Brian Lamb in the Boston studio of WABU-TV for an interview with host Jim Howell for a "Business World" segment. 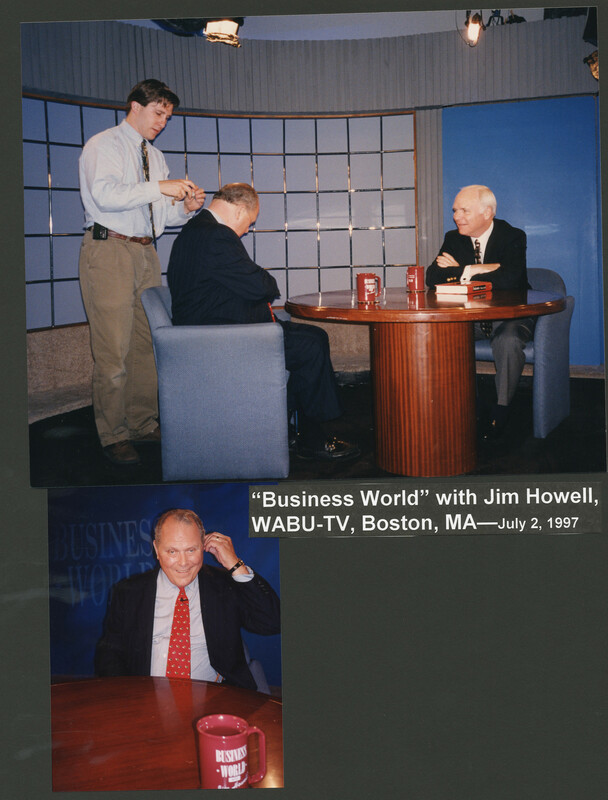 In top photo, a technician helps Mr. Howell with his IFB while Brian watches.